Interviewing is a fine art. Some questions, answers, and strategies are straight-forward, while other aspects of meeting with job candidates are more nuanced. Sometimes an answer or attitude sends up a huge red flag. Other times a comment or omission that seems insignificant can have much bigger impact, and it's important to know what to watch for. We talked to more than a dozen HR and recruitment professionals and business owners about what red flags they note during interviews. Some warning signs present themselves immediately. Don't discredit those little red flags that might start the interview off on a sour note. 1 - The candidate is late. Your time at work is important. A good team member will understand, and will be at an interview 10 to 15 minutes early out of respect for you and your time "If a candidate is going to show up late for their interview you can be sure that they will show up late on work days as well. "- Omon Odike, CEO U-Connect Human Resources Ltd.Nigeria It is, however, important to remember that everyone has good and bad days. If a candidate is late, but calls ahead and has a sincere reason it's a red flag, but don't discount him immediately. 2 - The candidate is disheveled. While we can't fault someone for having bad style or a limited budget for wardrobe, you will usually be able to tell if she at least tried. "Appearance and demeanor: is the applicant appropriately groomed? Is he/she excited to be here? "- Barney Cohen "Basic things such as inappropriate attire, not responding to social cues, being too relaxed and over familiar, not making eye contact or paying proper attention to the interviewer can all be subtle red flags that make the interviewee a bad cultural fit." Says BronwenHann, President, Argentus, in America. Unkempt hair, wrinkled or messy clothes, dirty fingernails, etc. are signs not necessarily of a bad worker, but may indicate laziness, poor attention to detail, and/or insufficient interest in your job opportunity. 3 - The candidate is unprepared. Gr8jobsng go out of their way to give interviewees a chance to demonstrate just how prepared they are. "We ask what questions they have for us. If someone pulls out a list of questions, or has some ready for me in some way, it shows he/she is prepared"We find very direct questions that require clear responses to help us separate good applicants from the rest. The two questions we always ask potential employees are, "Tell me one thing you really like about our company," and, "Tell me one thing you think our company can improve?" If they can't give us an answer to those questions, then I know that they haven't done their homework and aren't really serious about working for me. "If an interviewee can demonstrate that he has done his homework-that he knows about your organization and the position he is interviewing for-that's a good sign. If he doesn't, have a couple questions in your back pocket so you can find out for sure. 4 - Candidate complains about previous employers. Most people have worked for bad bosses at some point, but, like any challenge, what is important is how people respond to and deal with the difficulty. Complaining about a previous employer usually indicates a readiness to blame others and a failure to accept responsibility. Senior recruiters at Gr8jobsng, sympathizes with disgruntled employees, but emphasizes that, in addition to the subtle implications of complaining, it's just unprofessional. "Some people leave companies disgruntled, and they can use interviewers as a sounding board. Although they may have a point, and you can understand where they are coming from, it is never a good idea to go into an interview and carry this baggage- For a myriad of reasons, complaining about a previous employer is a big red flag. Any candidate who has read an article or blog about how to perform well at interviews will know it too, so it's also a loose indication of how well he or she has prepared. 5 - Candidate left previous jobs for bad reasons. As you talk through the candidate's work history, make sure to ask why those other jobs ended. A candidate may give vague answers for one or two, out of respect for the employer and in an effort to not speak badly about the manager or brand, so be gracious if it seems like that's what's going on. Stake a red flag, however, on candidates who give no answer at all or who give the same answer for too many previous jobs. "A candidate who cannot explain why he/she left his/her former position, or what he/she is looking for in a job is a huge red flag. That candidate may be hiding something, and honesty/candor are important qualities in new hires. "- Bidemi Ladipo, Ecommerce Director, Gr8jobsng There are, of course, good reasons for leaving a job position-career growth, changes at the company, accepting a "dream job" elsewhere, etc.-but refusing to say, or giving the same great reason for every previous position are two big red flags. 6 - Candidate can't provide a supervisor for a reference. Job candidates will give all kinds of references, but Gr8jobsng looks for one in particular: "The biggest red flag for me is when I ask a candidate for references and they are not able to provide any type of line manager for a reference, or if they do provide a manager it is from a position that was over five years ago." 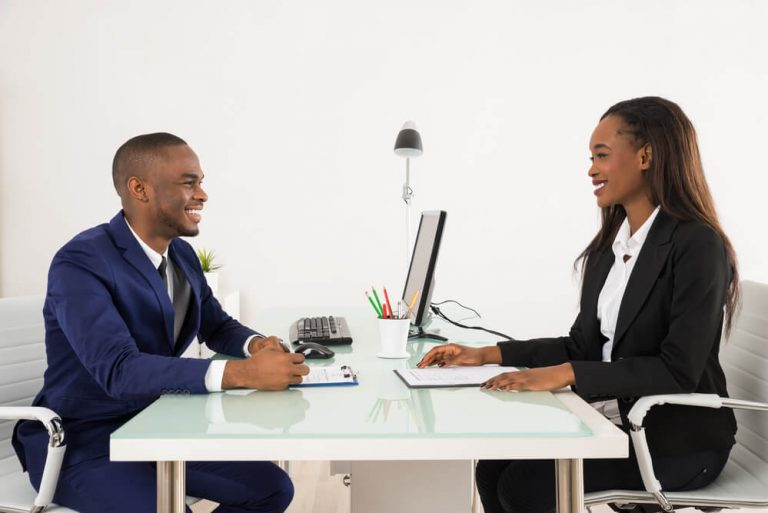 -Omon Odike, Uconnect Human Resources Ltd Co-worker references are great, but if a candidate can't provide a recent supervisor: red flag. "If he/she doesn't want you to talk to his last manager, there's probably a reason. 7 - Candidate can't share about learning from a mistake. Everybody makes mistakes. You should absolutely try to hire the perfect candidate for your job, but he or she will never be a perfect person. Watch out for the candidate who can't share a mistake and the lesson learned from it. 8 - Candidate is more interested in personal benefit. The person you want to hire is looking for more than a paycheck. If he is not equally excited about contributing to your team, don't bother. "Red flag: the candidate is much more interested in what he/she will get out of the job and less interested in the value he/she could deliver." -You're not looking for someone who will do a job for a paycheck. You're looking for a new team member who will be excited about helping to take your team to the next level. 9 - Candidate is rude and/or dishonest. If someone can't work with you in the interview, he'll never work with you in the workplace. "One of the biggest red flags is people speaking over you. This indicates the type of personality that is not going to be managed well. I had a very obvious example of this recently where it was ignored in a candidate who appeared to have the skills required Nerves might cause a candidate to interrupt at the beginning of the interview, and miscommunications have been known to happen, but be wary of rude or dishonest job candidates. There's no reason to think anything will change if you hire one. 10 - Candidate has a bad attitude. You don't want to hire an unqualified candidate just because you like him or her, but neither do you want to hire a qualified candidate that you don't like. Your next team member needs to be a good fit for your corporate culture as well as your open job position. TanmayVora is a Director at Basware India, and a leading voice in all things leadership at QAspire. He knows the value of a team that works well together, despite their individual skill sets. "While experience, skills, and qualifications are important baselines to assess capability, they are not sufficient. Hire for attitude, because you can train for skills but not for attitude. When you check the attitude, also check the candidate's cultural fitment to your organization's values, work environment and mission." - TanmayVora, QAspire The most capable employee who doesn't work well with your team is a worthless employee. 11 - Candidate is too enthusiastic. You're looking for a passionate candidate, but a seasoned recruiter will learn to recognize fake, excessive enthusiasm. "I don't mean that it's a red flag to be extroverted. Of course not. But oftentimes you're tempted to think someone's "passionate" (a popular recruiting buzzword) because he/she is loud, or talkative, or smiling, or bubbly, or articulate. The problem is that passion is a two-way street. That person you thought was so passionate won't be that passionate if the company doesn't pay them well, treat them well, offer them opportunities to move up, appreciate them, and all the other things candidates want. Passion is fleeting." - Todd Raphael, Editor in Chief, ERE.net That super-bubbly candidate might not be so enthusiastic after a month on the job, so take a steely-eyed look at what she might be trying to mask or compensate for by being so energetic. You may not want to completely write off a candidate because of one or two red flags. Everyone has good and bad days, after all. "People are human. The person tired in the interview, or late to the interview, or not articulate in the interview, and so on-is like all of us: at their best sometimes, and sometimes not." - Todd Raphael, Editor in Chief, ERE.net On the other hand, we document the red flags because when they aren't deal-breakers, they are sometimes so subtle that we don't otherwise consider them. They may seem like, "little things," but can have much more important implications. Hiring the right team is the most important thing you can do for both your corporate and your employment brand.